Degree Women Dry Protection Antiperspirant Deodorant Sheer Powder 2.6 oz is an invisible solid antiperspirant deodorant stick that provides 24 hour trusted protection against both sweat and body odor. With Degree Women, stay fresh and dry, no matter what. This Degree Women antiperspirant deodorant contains Degree's original body responsive formula, which was designed by experts to provide 24 hour protection against sweat and body odor. It's tough on sweat, but not on skin. This deodorant is perfect for every-day use. Whether you're in the office, playing sport outdoors or working out in the gym, you can be confident that you'll be protected from sweat and body odor with Degree Women. So choose the fragrance that fits you best, and keep moving with confidence that you'll stay fresh thanks to Degree Women deodorant as you perform at your best. It comes in an easy to use applicator stick. You simply turn the dial on the bottom to raise the stick, apply a thin layer to your underarms, and you're ready to go! Stay dry, cool and confident with Degree Women. 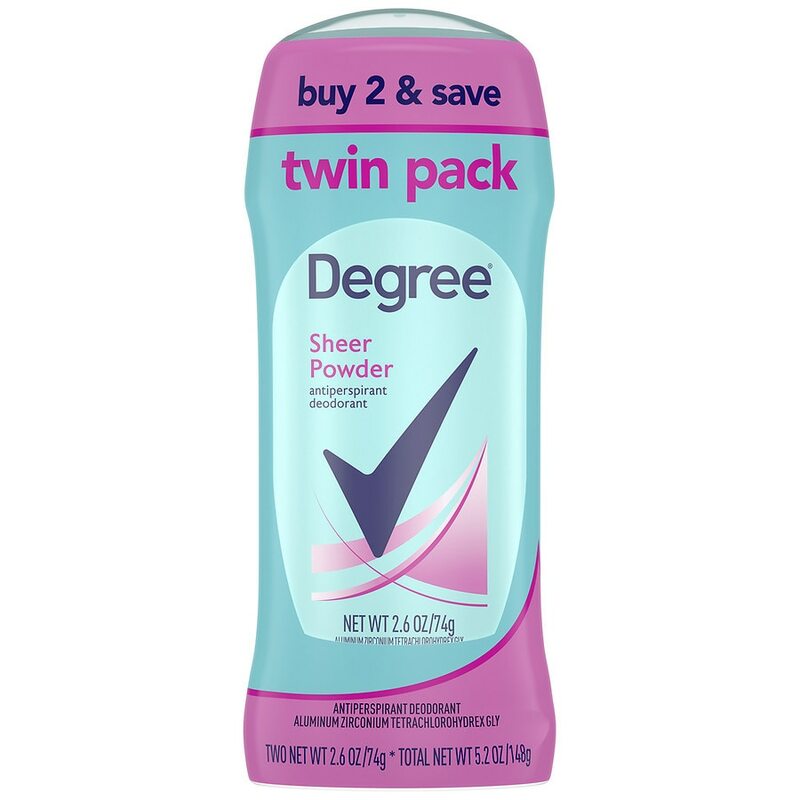 Try pairing this deodorant stick with a Degree Women Antiperspirant Dry Spray! Trust Degree Deodorant for Women to give you long lasting protection with fresh fragrance for when you need it the most. Degree. It won't let you down.